Hello gorgeousness! I hope you are having a wonderful day. Let's talk eyebrows! I think eyebrows have the power to change up your whole appearance. Although they're vary from woman to woman but they bring this one thing called balance. Eyebrows frame the face - so they say. I have been experimenting lots of eyebrow looks lately (because I hung out a lot last week) and that is the reason why I am making this blog post. I have come to a conclusion where I think these brows you will be seeing in a minute are my favorite, my go-to eyebrow looks. This is, hands down, my favorite look because I just go with my natural brow shape and boom! I am done. The softly arched brows are right up my alley. It compliments my face shape and the eye shape that I have, I believe. I go in really light handed for the front part and a little heavy handed but with control at the end. I am doing all of this using only a brow pencil that my aunt got me during her visit to Japan. And on top of that, I will clean my brows using a concealer. I cannot skip this step because I am so lazy to pluck them stray hairs nowadays! Whenever I am feeling fancy, I will do the 'korean brows' but with my own twist. The 'korean brows' are known for their straight, soft, natural and innocent look. I like the shape and that's why I did it but I still go heavy handed at the end, whereas 'korean brows' tend to look natural and soft all the way. A lot of concealing will take part for this eyebrow look just because. I don't use eyebrow tint or eyebrow gel that much anymore so yes, a single eyebrow pencil and a concealer will do. I know right. What's your go-to eyebrow look? Do you have any eyebrow tips and tricks? Hello gorgeousness! I have been a fan of The Body Shop for years. Their vanilla eau de toilette is undoubtedly a major favorite of mine. That's honestly the very thing I would grab from their store every single time. It's phenomenal, and I thought I would expand my The Body Shop collection. I am so happy I did that and this time around I am trying their Vitamin E skincare line! Before anything, it would be fitting if I share what it claims to do, yea? The range is said to protect our skin against pollution, cigarette smoke and UVA/UVB rays. The whole range is formulated with vitamin E, hyaluronic acid and wheatgerm oil. It is also made for all skin types. I want to give this skincare range a try because I honestly think it would be a lifesaver for the rough journey of my skin. My skin had been so dull and a lot of my skin concern keeps coming back to haunt me. So I think this vitamin E range would fill in the blank and be great for my skin (and it does!). At this time, I only bought the essentials - facial wash, toner and moisturizer. Why? I don't feel the need to slap too much product on my face anymore. Got the essentials and I am good to go. I have been sticking to a pretty simple and solid regimen where I start with The Body Shop Vitamin E Gentle Facial Wash | RM 60. I have been using this face wash for a month or so now (same goes with the other 2 products) and on a regular basis in rotation with my CeraVe Foaming Facial Cleanser. First impression when I squeezed the tube was the texture. It looks like the thick, sticky lotion that you don't like. I was taken back a little but when I first applied and used it on my face, it was so light, creamy and non-irritating! 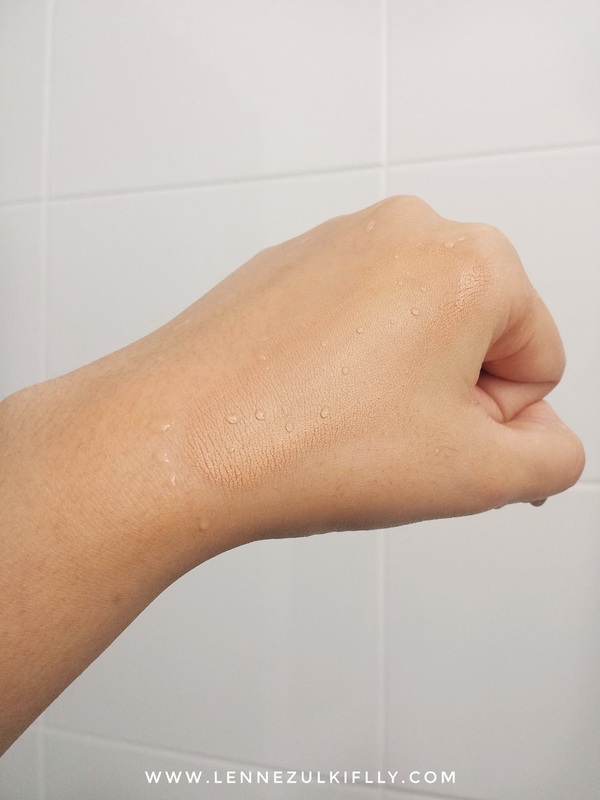 After have been experimenting with it, I can say that it doesn't do any of the tightness and dryness feeling after washing my face and no breakouts! So I kinda like it now. This is a cream-based facial wash and I personally think if you have dry skin, you will love this. My skin is of the oilier side but I see no problem with me liking this facial wash. I know my skin and I know it doesn't like a lot of cream-based products but this one takes the cake, I guess. 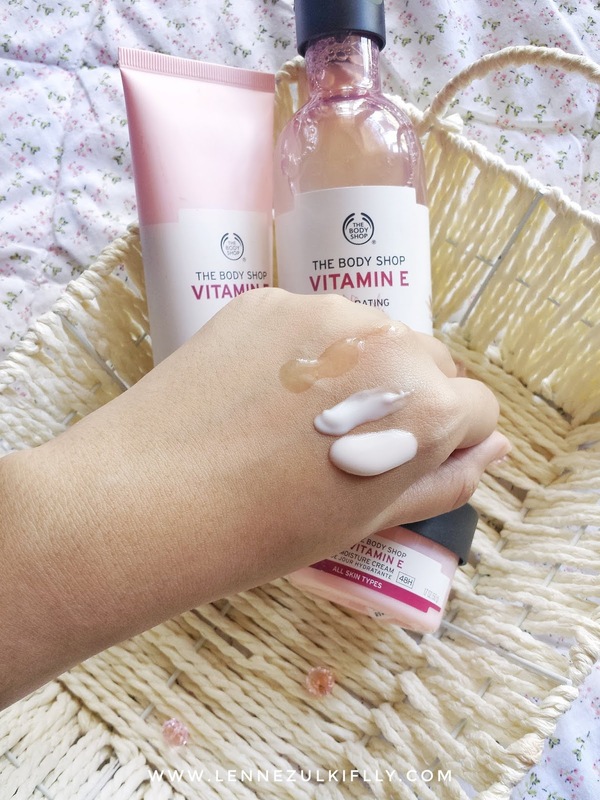 Next up is the The Body Shop Vitamin E Hydrating Toner | RM 66. This is my holy grail. I cannot go a day without this toner. After I cleanse my face, I will apply this toner and it makes my skin so supple and hydrated. 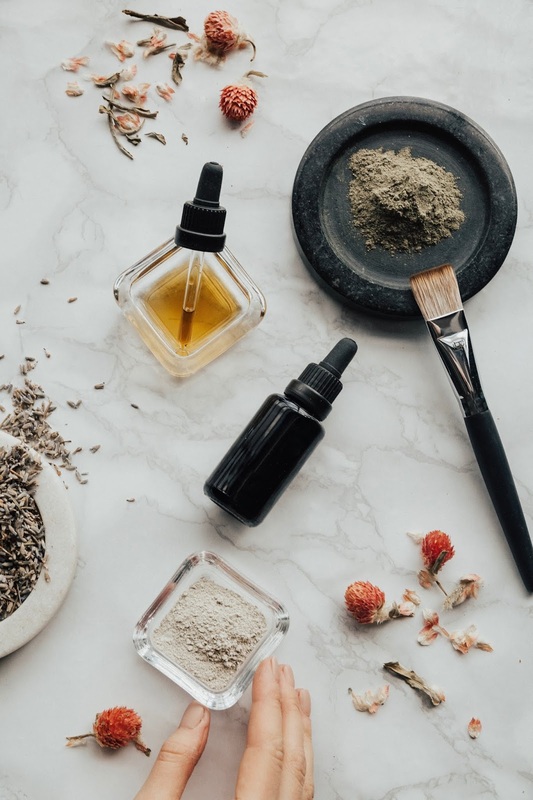 The consistency is not too thick, it's really soothing, hydrating and it has a pleasant scent which I find really nice. It's not sticky or tacky and it doesn't contain alcohol. I already have a backup of this baby. I love love love it! 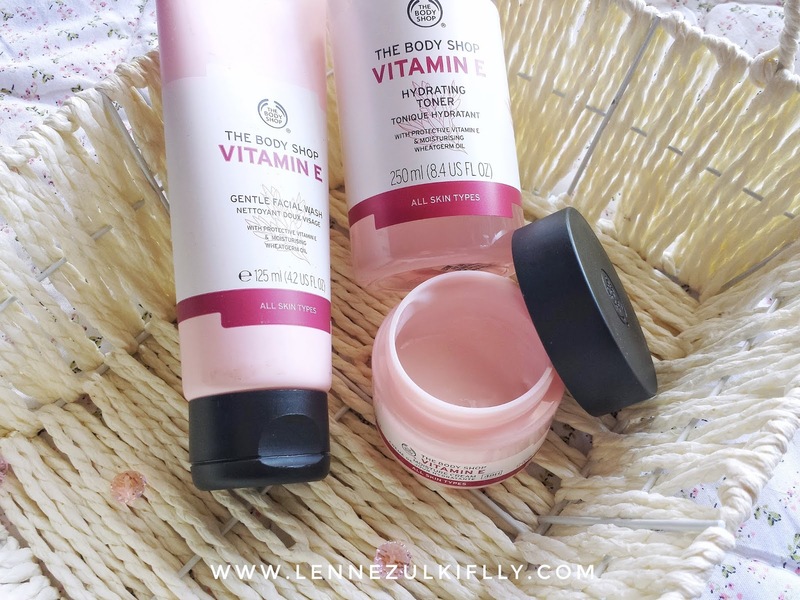 Up next in my skincare routine is applying acne treatment gel and then I will go with The Body Shop Vitamin E Moisture Cream | RM 66. Now, as I was saying, my skin is really terrified with cream-based product. My skin will get irritated and itchy. I just know this moisturizer is not for me but not until I put it on my face that one night and I wake up with glowing and healthy looking skin. So that's the secret. My skin can actually cope with cream-based product but only if I use it at night. Cream products typically heavy in consistency but this one is not. Actually the whole product in the range is not heavy at all. I guess that explains why my skin loves this vitamin E range. The moisturizer is quite tacky even after hours of application. It's also quite runny, meaning it will get messy inside there so be mindful when you place it. Would I recommend this skincare range? Yes, if you are okay with spending that much money every single time. Also, this can be good for all skin types but if you are not okay with fragrance and parabens in your skincare, then I would say pass. Would I repurchase? Absolutely! But not the moisture cream though because The Body Shop came out with a new gel moisturizer that suits normal to combination skin. I kinda wanna try that one next time. All in all, this is definitely a hit for me. I am beyond happy I tried this range. My skin has been really well behaved and respect me more because I spent a lot of money on her alone. LOL. 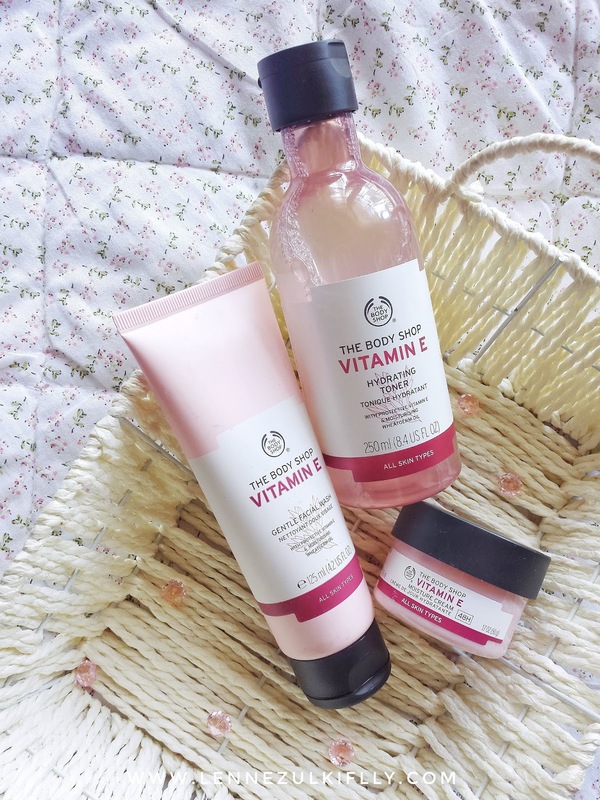 All jokes aside, my skin loves this vitamin E skincare range from The Body Shop. It's gentle on the face, so soothing, hydrating and moisturizing. If that's what you are looking for, then look no further! Have you tried anything from The Body Shop? 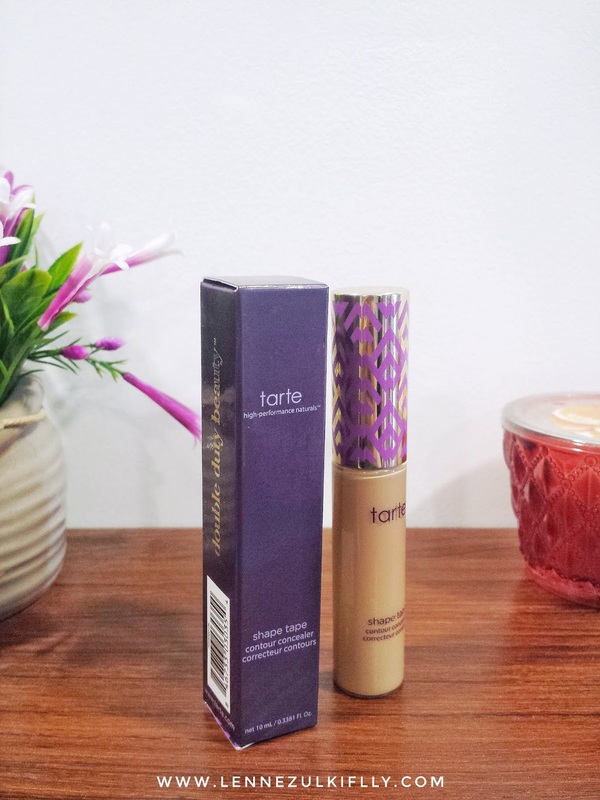 Tarte Shape Tape Concealer - Worth The Hype? Hello gorgeousness! I know, I know. I am late to the bandwagon. I couldn't help myself. Tati, being my absolute excellent makeup and beauty consultant and I do not own her most favorite concealer of all time?? Can't relate. So I went out to Sephora Sunway Pyramid and finally got my hands on it. I had really high hopes for this. Lots of beauty gurus love this stuff. I mean, sure it is a really good stuff if they keep raving about it, right? Anyway, let me tell you something. It retails for RM 115 for 0.34oz of product. It is not an affordable concealer. At least, that's what I thought when I first saw the advertisement in my email. I personally wouldn't want to spend a 100 ringgit just for a tube of concealer. But I did it anyway. Speaking of tube, I am actually surprised at how noticeably large the tube is and how much product you get! Yes, you get more product with Shape Tape versus other concealer - Nars Radiant Creamy concealer (RM 112) for 0.22oz, Too Faced Born This Way concealer (RM 126) has 0.16oz and Urban Decay Naked concealer (RM 108) has 0.16oz. So, take your pick. Shape Tape concealer comes in a tube with a gigantic doe-foot applicator. It's so incredibly big that it picks up a lot of product in one dunk and that one dunk is all I need for my whole face. I think the huge and wide applicator (aside from the amount of product you get) is a great tactic to justify the price tag. It feels high quality and heavy duty. This stuff is FULL COVERAGE through and through!! When my internet friends say it's full coverage, it's full coverage. It's not a false alarm. They mean it! The coverage is tip-top. It covers everything - blemishes, super dark and blueish under eye circles, you name it. Apart from that, a little goes a long way with this bad boy. What I always do is I take a little bit of product from the applicator with a blending brush and blend away. It blends really well and it will not lose its pigmentation. You don't need a lot of it, I tell you! It's thick, hence the coverage. Even though it's thick, it goes super smooth under the eyes! You know sometimes concealers tend to make your under eyes look dry and 'crispy'? This, doesn't. As far as longevity goes, this stuff stayed put all day long. All. Day. Long. It did settle in my fine lines because that's the nature of having fine lines. Products like this will cling on to those lines. HOWEVER, nothing major. I swear I have had worse cases with concealers before and this is nothing near as dramatic as the others. It also doesn't fade off or break apart or budge at all, at least on me. The key is not to apply too much because it WILL get cakey. I have a feeling this concealer is the one that will cake up if you use too much. I warned you. 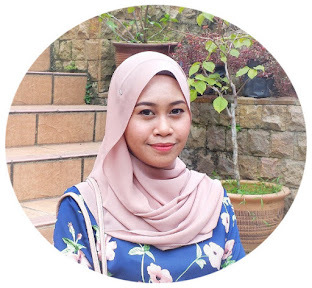 The coverage is totally impressive; full coverage and appears smooth and luminous under the eyes. A tiny bit goes a loooong way. One dunk is all I need, I don't need to take more product. The concealer is so smooth that I don't have to set with powder. It looks amazing all day either you set it with powder or not. 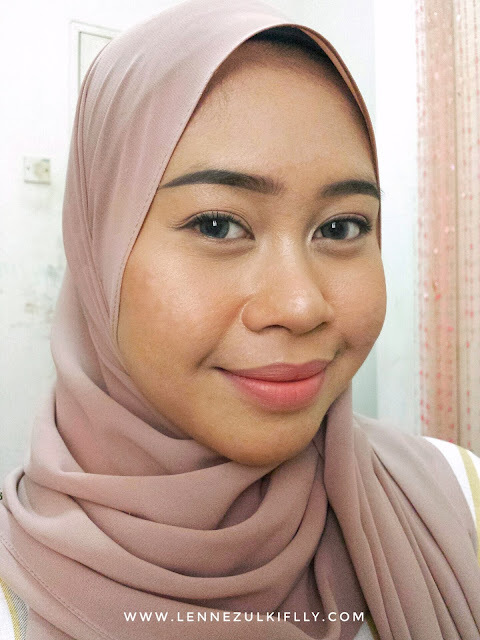 I always prefer to set my concealer with powder to ensure its longevity but I am fine with not setting it anymore. I have an oily skin and this says a lot. Long-lasting. Considering how oily my skin is, this stuff is amazeballs. 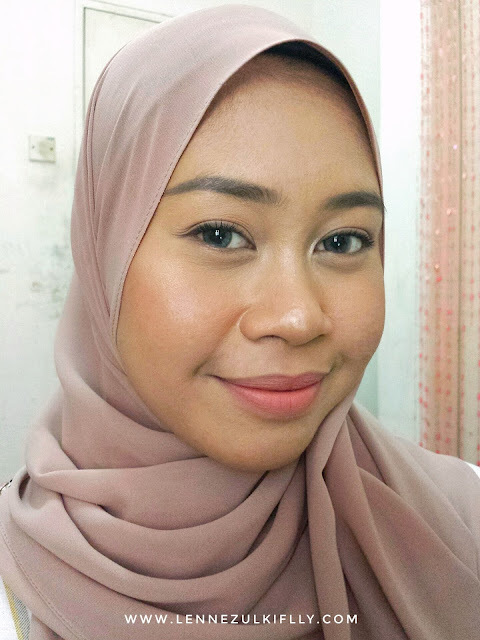 It's an oily-skin-friendly kinda product is what I am trying to say. No major creasing or accentuating lines. I would say minimal and still look good and smooth all day! Even though it doesn't claim to be waterproof but I think it is. It can lasts up to more than 3 months since I only use a tiny bit of it. You actually got a ton of product with that price. I guess, I am over the crazy price tag for a tube of concealer. I am over it. The product dries quite fast. This is not the type of concealer where you can take your own sweet time blending. You gotta be ready to blend once you apply it to your face. It does feel a tad heavy at times and will get cakey if you apply too much. Be warned. All in all, this is the best concealer I have ever used. I have been wearing non-stop ever since I got it. No exaggeration! It does so much more than just spot concealing. 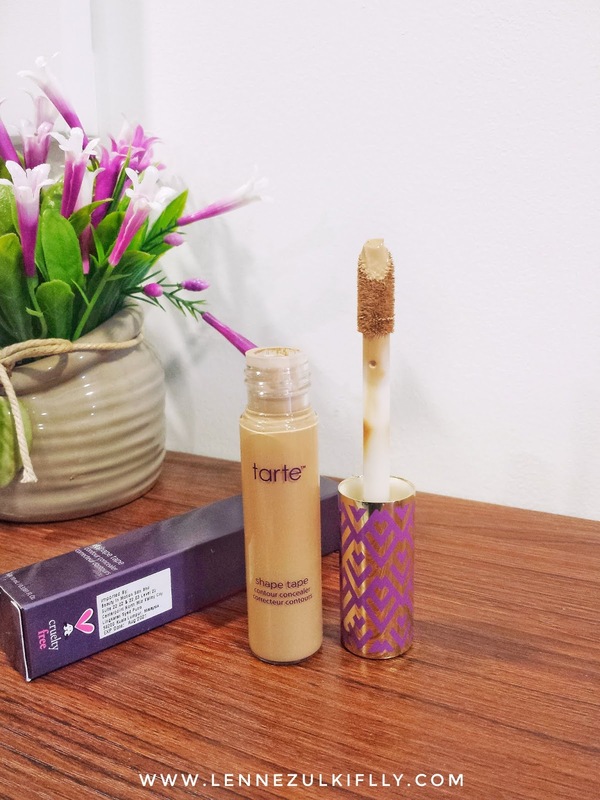 I have been ditching my Maybelline Fit Me Foundation and use Tarte Shape Tape (only!) instead. God knows how much love I have for that foundation and now I am slowly getting rid of it. Wow. Within just a few weeks of usage, it has skyrocketed to one of my holy-grail! Tarte Shape Tape really did that. So, back to the real question - is it worth the hype? YES! A thousand times yes! 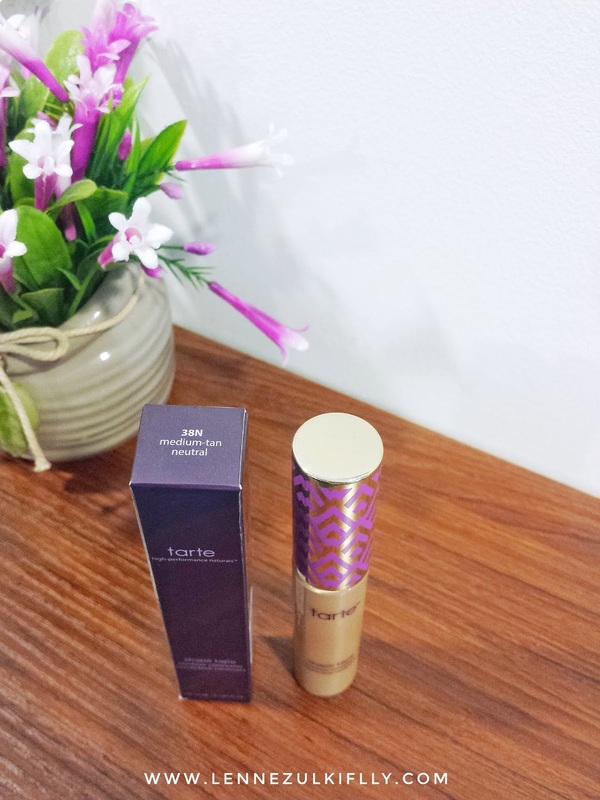 Have you tried Tarte Shape Tape before? What are your thoughts about it? Hello gorgeousness! I feel like this tag (or label, if you will) particularly has been touched very little on my blog. Mainly because I always picture myself as an amateur. 9 years down the road doesn't give me the ticket to talk about lots of blog stuff, I guess? Anyway, if I am being honest, some of my older posts make me cringe to the core. Just the thought of opening them and worst case, anyone else reading them. Ugh! 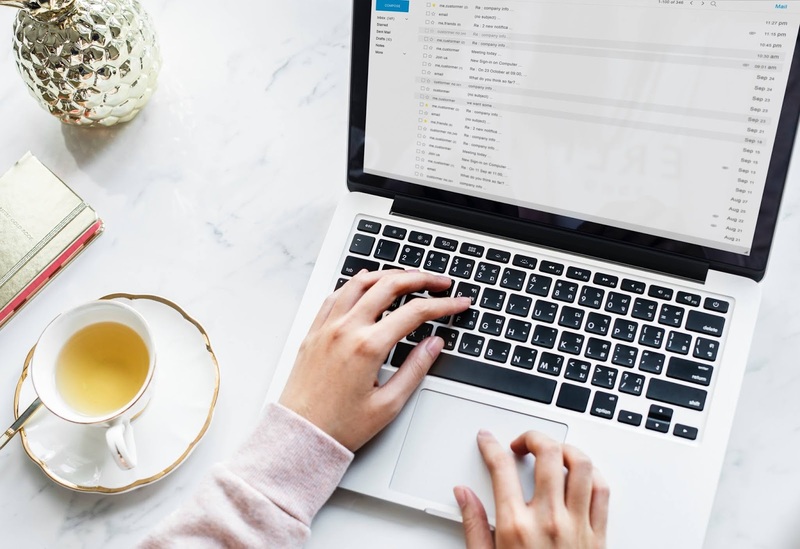 General text/ typo errors/ choice of words improvements - These are the first up because, well, you are changing from time to time. You are not yourself anymore 5 or 6 years ago. Your choice of words might be better now and while you're at it, double check for any spelling errors. I always spot errors but I can't get away with it, still. There's always that one lil mistake that is so hard for you to spot. Updating and replacing links - You do know that links can break, right? Broken links are bad for your SEO. 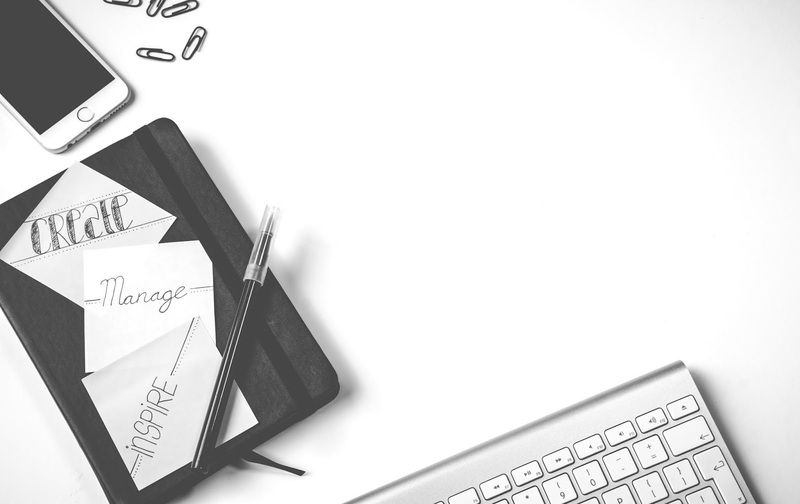 It could be one of the reasons your SEO score is declining. The best way is to renew them and if you happen to have newer related posts to it, just add them in. The more the merrier. Adding things in - As I mentioned to adding things in, you're not restricted to only add links, y'know. I mean, let's say you have reviewed a product before and your opinions changed a year after that or your skincare routine has changed and you're not using most of the products in that post anymore. Adding things in to justify the old content is always useful and relevant. Just like what I did here. Do not simply delete them - Revert them to your draft instead. I know as we grow, some things are not necessary in our life anymore but that doesn't mean you have to cut ties with it immediately. They were once your source of traffic y'know. Just prevent them from the public eyes and that's what I did. I keep them in there forever at this moment until I change my mind to repost them again. But for now, they are safe and sound in my draft. How do you revamp your older blog posts?